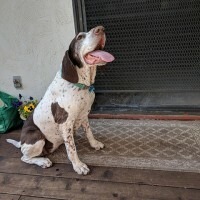 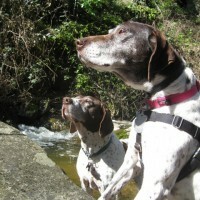 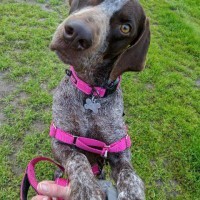 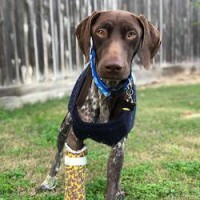 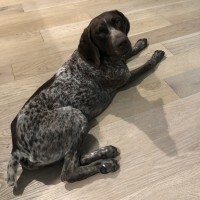 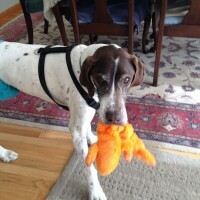 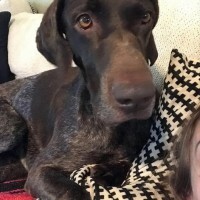 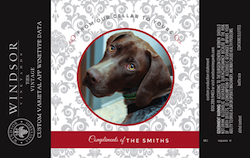 Juliette became a quick rescue favorite with her adorable GSP smile and her friendliness to all critters big and small. Juliette’s new family has had several GSPs through the years and we think Miss Juliette’s going to get some much deserved spoiling! 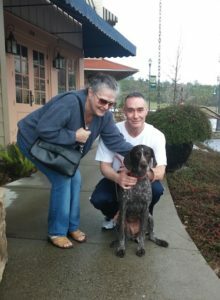 Thank you to Catherine and Mac for fostering Juliette and to Vicki for working with the adopters!